In 1967,Jimmy Duncan sent a tape of demos by The Lemon Fog to Ray McGinnis of Orbit Records.Duncan was a producer and songwriter,out of Houston.He also owned a local club called "The Living Eye" (featuring an immense,pulsing eye in the middle of the ceiling).Ted Eubanks,keyboardist and songwriter for The Lemon Fog,recalls "we named the band Lemon Fog at the request of Duncan.He wanted us to help him remain relevant and to make the progression into the rock world so we became the house band at "The Living Eye". "Our live act consisted of original songs and many covers of popular hits.We opened for The Electric Prunes,The Moving Sidewalks,The 13th Floor Elevators, Question Mark and the Mysterians and Fever Tree.Mike Knust,Fever Tree's guitar player, went to the same high school that we did and most of the band lived in the neighborhood.Scott Holtzman wrote their hit "San Francisco Girls" and managed them.He eventually managed us as well." 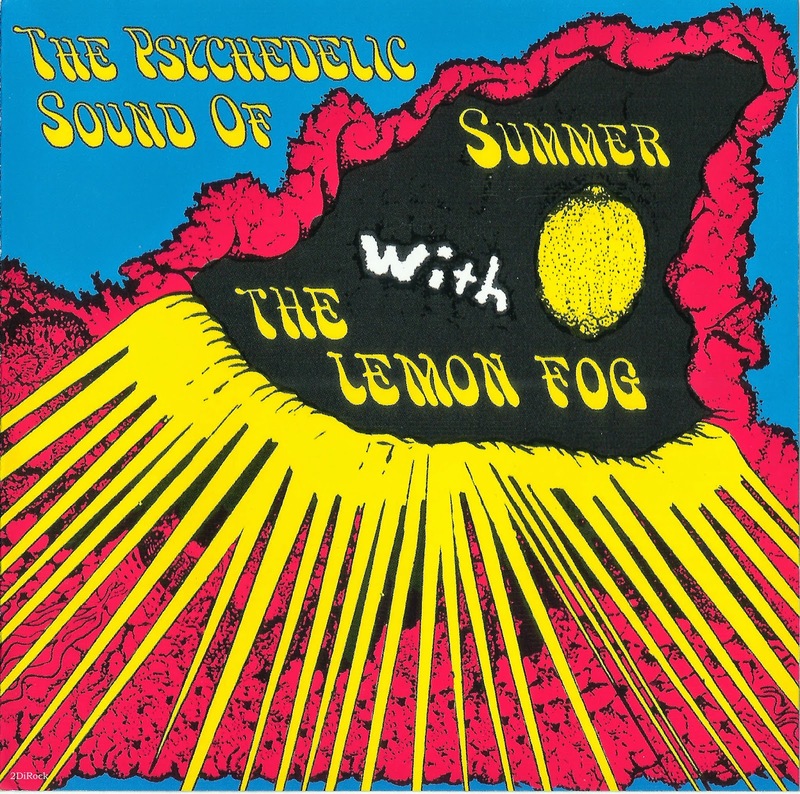 The first Lemon Fog recording session was at Doyle Jones studio in Houston,during the summer of 1967.Five songs were completed,"Lemon Fog", "Summer", "Yes I Cry", "Girl From The Wrong Side Of Town" and "Echoes Of Time".The songs were sophisticated psychedelic numbers written by Duncan and Eubanks.The oldest member of The Lemon Fog was seventeen year Chris Lyons,a senior in high school,the rest of The Fog were juniors.The first single from the sessions was "Lemon Fog" b/w "Echoes Of Time" released in November,1967. "Lemon Fog" was alternately titled "The Living Eye Theme" to tie in with Duncan's club (he also wrote the lyrics).For "Echoes Of Time" Eubanks wrote the music and played the keyboards,which sounded like a Mellotron.In reality it was the Farfisa and phasing.The engineer would manipulate the tape as it moved across the heads to get that phasing sound.The master tape reveals that "Echoes Of Time" was taped for ten times,before the right band track was found on which to overdub Simmon's lead vocals.As first singles go for a band,The Lemon Fog were mi les ahead of the other bands with their unique sound and style of mixing spacey lyrics with even spacier psychedelic music.The second Lemon Fog single, "Summer" b/w "Girl From The Wrong Side Of Town" was released right before school let out,in May,1968.Eubanks wrote "Summer" when he was sixteen and this was no typically written upbeat teen summer song,it was about alienation and boredom.The single mixed version was edited by almost two minutes,with the verse that includes "My bird has flown" omitted (the unedited complete version is track one on this album).The second Fog single was another winner,but according to Eubanks didn't make the charts! II the Fog weren't hitting the charts with their singles,they did get on The Larry Kane TV show.The first time on,they performed "Lemon Fog" with a yellow tinted see-through sheet layered over the video and a foggy mist on stage.Their next and final appearance on Larry King was to perform "Summer".The next Lemon Fog session was for the recording of "Day By Day", and The Prisoner". By now Eubanks was writing all the band's material and he recalls,"we recorded "Day by Day" and "The Prisoner" at Huey Meaux's studio".The single is a existential example of the far out sound of The Lemon Fog,with obscure,philosophical lyrics and observances of life.Unfortunately this was to become.The Lemon Fog's third and final single.The band members graduated high school in June 1968 and went onto divergent paths. Eubanks says that "when I left The Lemon Fog I joined Duncan at his new Soundville recording studio where we recorded as "Wichita" in 1970".Wichita cut one single and an unreleased album before breaking up in 1971.